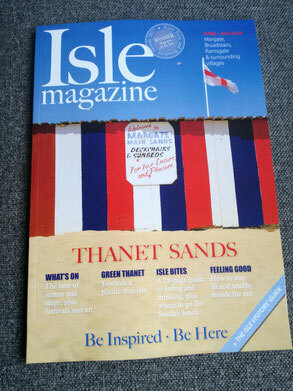 For those curious about our town and local area, or who already know and love it but would like to find out more - Isle Magazine is the perfect source of inspiration and comes out twice year, featuring all the very best of Broadstairs, Ramsgate and Margate. When you arrive at your Apartment you will find a copy of this beautiful coffee table magazine available for you to enjoy - and prepare to be thoroughly inspired for the duration of your stay! Editor, Kiki Case, and her team of local contributors, work hard all year round to showcase the very best of our wonderful Isle of Thanet - with support from local businesses and the tourism team at Visit Thanet. Whether you are interested in where to go to eat out, what events are taking place, what activities you might be able to take part in, or what the local attractions are - Isle Magazine has it all. If you are a discerning visitor you won't be disappointed by the recommendations in this stellar publication, winner of the award for Best Magazine in Kent. The publishers are Coastal Publications, Simon Abra and Kiki Case, both have a real passion for Thanet. Together they have published the magazine for over ten years and in that time have documented many exciting changes in and around all three towns and surrounding villages. We are grateful to Kiki and Simon for their hard work and for allowing us to have copies of the magazine for our guests at our serviced apartments in Broadstairs. You can take a sneak peak inside the latest issue by having a look at it online here - and we feel sure you will enjoy doing that. But save some articles to enjoy with your coffee in your Apartment! Relax on your delightfully comfortable sofa, perhaps with a fresh coffee made in your fully equipped designer fitted kitchen, perhaps you'll have picked up some delectable pastries to nibble from one of our local bakeries. The sun is streaming in, your favourite music is playing in the background, through your Apartment's very own bluetooth speaker using your own playlist stored on your mobile device. What will you choose to read today? How about Isle Bites, the section on eating out. The current issue includes write ups on some seriously exciting new openings. The Old Post Office in Margate is aiming for a Michelin star and doing everything right to get it. Smiths Wellness Cafe in Broadstairs includes the chance to enjoy a Chemex coffee. The Cinque Ports pub offers al fresco views over Margate sands and is a real Best of British story, with gastro pub fare and local ales, or get up to Ziggy's Rooftop bar and BBQ and enjoy exceptional rooftop views over the sands with a Caribbean flavour, including DJs and live acts - sometimes even steel drums playing! In the new and amazingly cool new Radio Margate - radio station and very welcoming cafe - you can soak up some experimental sounds and get a cup of some of the best coffee around and a tasty Cyrils sandwich, or one of the outstanding pastries from creative local baker, Modern Provider. Read about a whole host of places you can choose to go for Sunday lunch too - pub, luxury hotel or restaurant options are all available within a short walk or drive from your luxury serviced apartment in Broadstairs. Escape Rooms - there are three locally and all are quirky and devilishly difficult as well as great fun! Facial Fitness and Confidence Boosting are covered in the Health and Beauty section as well as Exercising Outdoors, which let's face it is a real treat round here, with our glorious coastline. Yoga on the beach for example, or run the coastal Viking Trail. Chetna Makan of Great British Bake Off (another Broadstairs local) shares a recipe you might want to try out in your/our fully equipped kitchen - a prawn curry from Kolkata! Newcomers interviews three couples who have recently moved from the big city to live here in Thanet - locally, folk who make that move are sometimes called DFLs (that stands for Down From London) and the fact is there are more and more of them coming which is helping boost the local economy and cultural scene. Maybe your stay with us will prompt you to become one of them if your London based at the moment! Where ever you live now, we can't really see how you can avoid falling in love with Broadstairs - and a stay in one of our Apartments is a great way to get a sense of what it would be like to really live here! 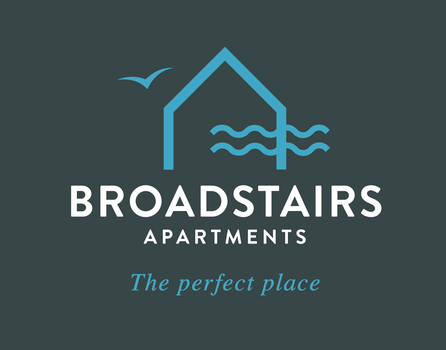 This is our first Broadstairs Apartments blog post. Do you think Inspiration is a good name for it? We hope to post many more inspiring articles in the months and years ahead. There's lots of great insider information we can share with you to make your stay in Broadstairs even more enjoyable.  We are proud to offer our new serviced Apartments in here the most beautiful town in East Kent, Broadstairs, for long or short term flexible lets with all costs included. We have created what we believe are now the Broadstairs holiday lets par excellence, with stunning interiors, all home comforts and the best location around, perfectly situated to access whatever takes your fancy around the Isle of Thanet in either direction, while having the benefit of being on a quiet and charming residential street, a little way back from the seafront in the loveliest town on the Isle, Broadstairs - and just a short walk away from all the local shops, restaurants, cafes and the beach. We do hope you like our first post and that you may come back to read more another day. We would love to hear any comments you'd like to share - particularly if you are a guest who has read Isle Magazine in one of our Apartments and would like to say something about it, or about any of the topics mentioned above - or of course if you'd like to say something nice about our accommodation. If you're now feeling as inspired as we hope, here's a challenge for you - If you were writing for Isle Magazine after your stay with us - what would your article be about? We know the editor, all suggestions will be passed on!